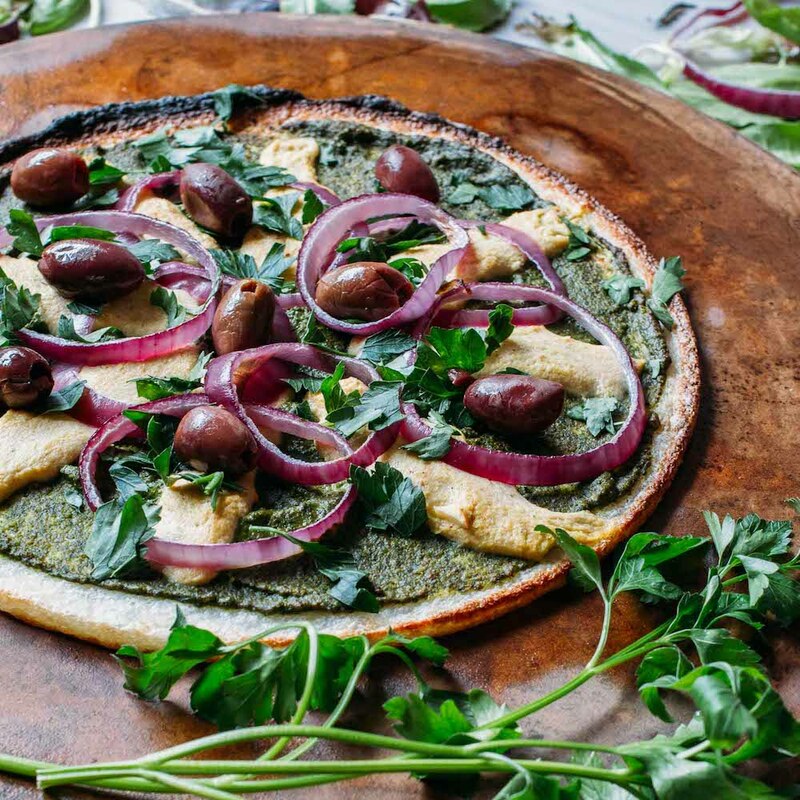 Gooey, cheesy, pizza-y and hopelessly addicting; these are the words I use to describe our plant-based, gluten-free, Cauliflower Crust Pesto Pizza! When you bite into your first slice of Cauliflower Crust Pesto Pizza, get ready for your cares and worries to disappear. For this reason, be prepared to be filled with romantic thoughts of dining al fresco at an exclusive little bistro. Because this isn’t your average takeout kind of pie; this baby is one giant step above! Not surprisingly, the goodness begins with the lovely bright green Oil-Free Spinach Walnut Oregano Pesto slathered across its cauliflower base. Yes, you could use store-bought pesto if you’re in a real hurry. But my pesto recipe only takes a minute to make and tastes so much better than the packaged stuff. 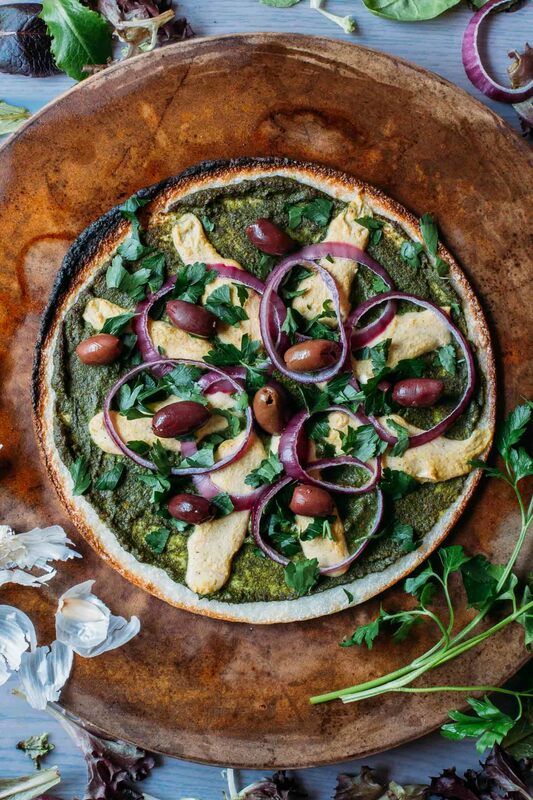 Cauliflower Crust Pesto Pizza with Oil-Free Spinach Walnut Oregano Pesto is a combination I thought of while grocery shopping. It was one of those busy days when we were tired and way too hungry. After completing a multitude of errands my daughter and I stopped by Trader Joe’s to stock up on a few of our favorites. That’s when I heard a very still, frozen, cauliflower pizza crust calling my name. No. The frozen crust was not speaking aloud, or even whispering. To illustrate, I’m just having some fun describing how much I wanted to do something beautiful with that little-boxed crust. Anyhow, my food-loving recipe writing mind immediately began racing with ideas for all sorts of pizz-abilities! And my mouth watered as I imagined creating and devouring a delicious, nutritious, dairy-free yet cheesy pizza without the heaviness of a traditional crust. Long story short – I liked what I saw! The cheese takes about an hour to firm up, but it’s so simple to whip together that you won’t even believe it until you try for yourself! By the way, this is a sneak peek at my adventure in cheese making. I’m officially calling the cheese detailed in this recipe my Dairy-Free Melty Cheese because it’s a keeper that will eventually get a post of its own! Consequently, made with no additional oil and not a drop of dairy, the meltiness of this cheese has me amazed. It’s so melty that I will be creating a standalone recipe post for it because I have already used it successfully in a handful of other melty cheesy dishes! I’ve included enough ingredients to make a double batch of cheese because I know you are going to want some extra to make a grilled cheese sandwich or maybe some quesadillas or poutine potatoes! Trust me, the way this cheese melts will delight you! Since this recipe ends up using about half a batch each of the Oil-Free Spinach Walnut Oregano Pesto and my brand new recipe for Dairy-Free Melty Cheese, I’ve included a quick dinner recipe idea to use up the leftovers in my notes. It ends up being that when you make our Cauliflower Crust Pesto Pizza, it’s like you’re getting two delicious dinners ready to go, in one! Once I get around to making a homemade cauliflower crust that sticks together as nicely as this store-bought variety, you’ll be the first to know! 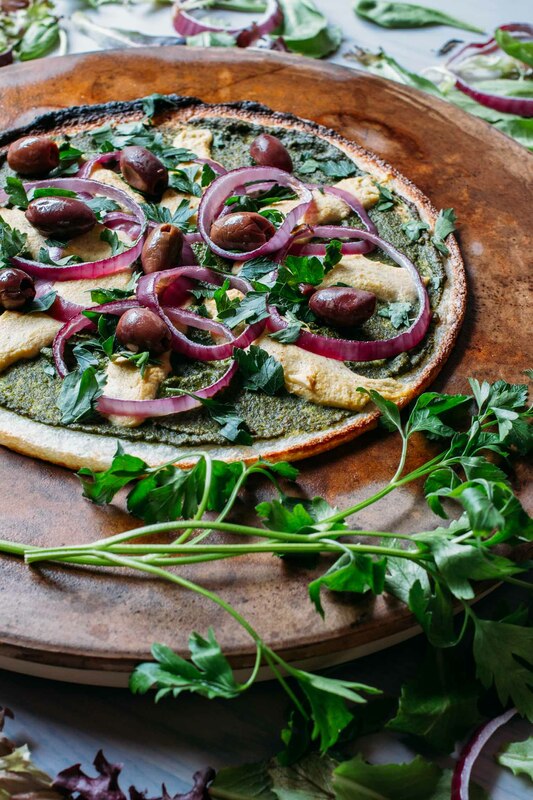 Hopelessly addicting and yet so simple – that’s how you’ll think of our plant-based Cauliflower Crust Pesto Pizza just as soon as you take that first exquisite bite! Total prep time takes about one hour do everything! Imagine that! You can make a batch of my new recipe for Dairy-Free Melty Cheese and a fresh batch of my Oil-Free Spinach Walnut Oregano Pesto in as little as an hour! FIrst, prebake the frozen cauliflower pizza crust according to package directions. For best results, be sure to flip the crust to cook it through before adding toppings. Next, begin making the Dairy-Free Melty Cheese by stirring the psyllium husk into one cup of warm water, allowing it to sit for an hour to firm. If you'd like, do this step way before you plan to make the cheese so that it takes less time to prepare the pizza - that's what I do. For example, if I think I want to make pizza during the evening, I mix the psyllium husk with water that morning. Most of the time the thickening happens pretty quick and doesn't even take an entire hour. The consistency you are waiting to achieve is very thick and jelly-like, pretty much like jello. 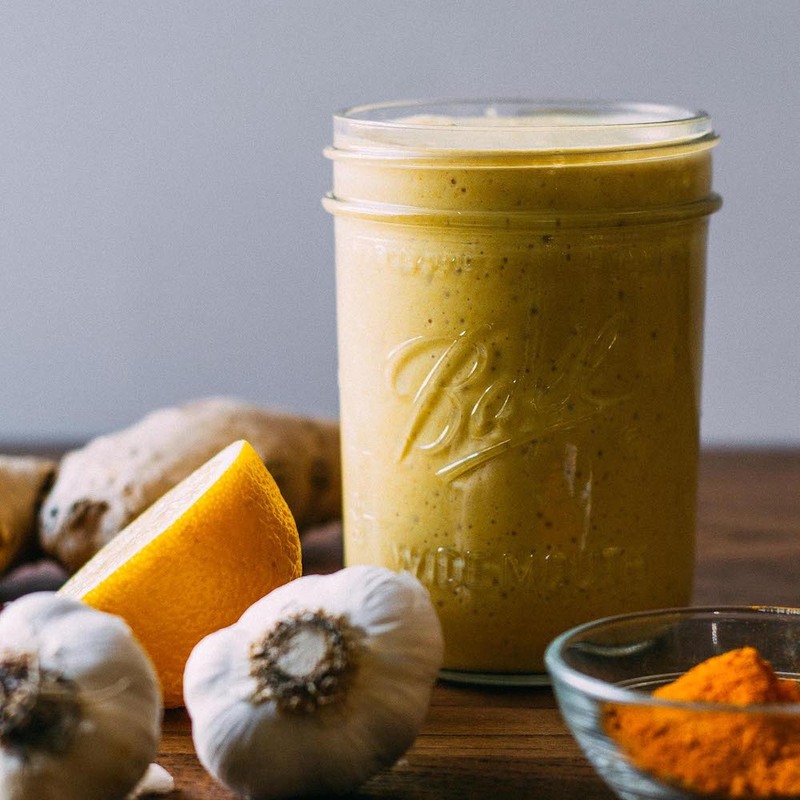 Now add the following ingredients to your high powered blender in this order: nut milk, cashews, nutritional yeast, tapioca flour, Bragg's Liquid Aminos, lemon juice, and miso paste. Blend until it transforms into a smooth and creamy consistency. 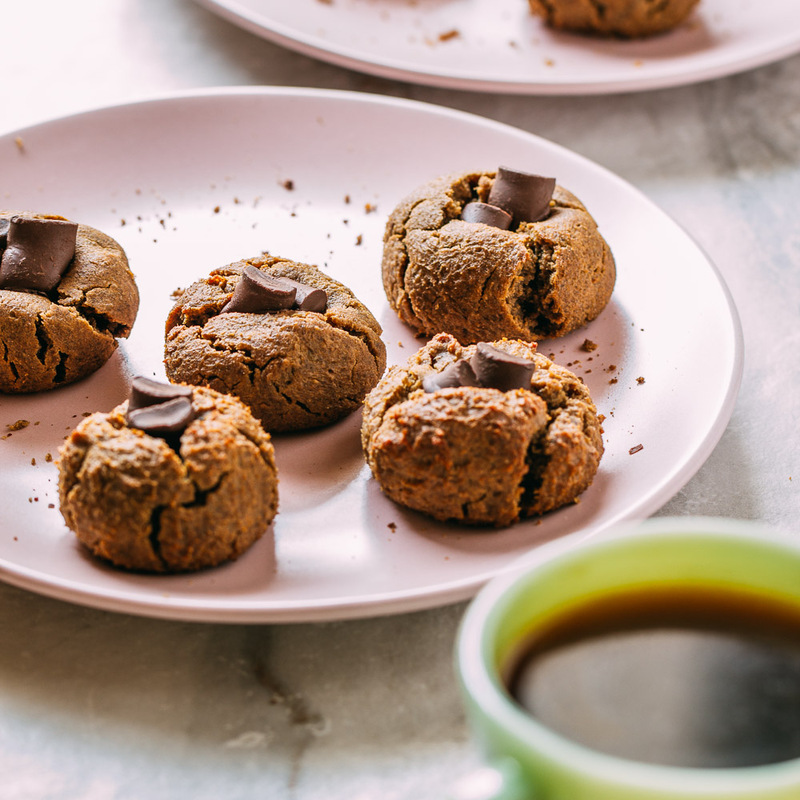 Once you're satisfied with the creaminess of your cream, pour thickened psyllium husk gel into the blender and mix until the combined ingredients are once again, smooth and creamy. The combined mixture will be much thicker than the cashew cream was on its own but still a little pourable. 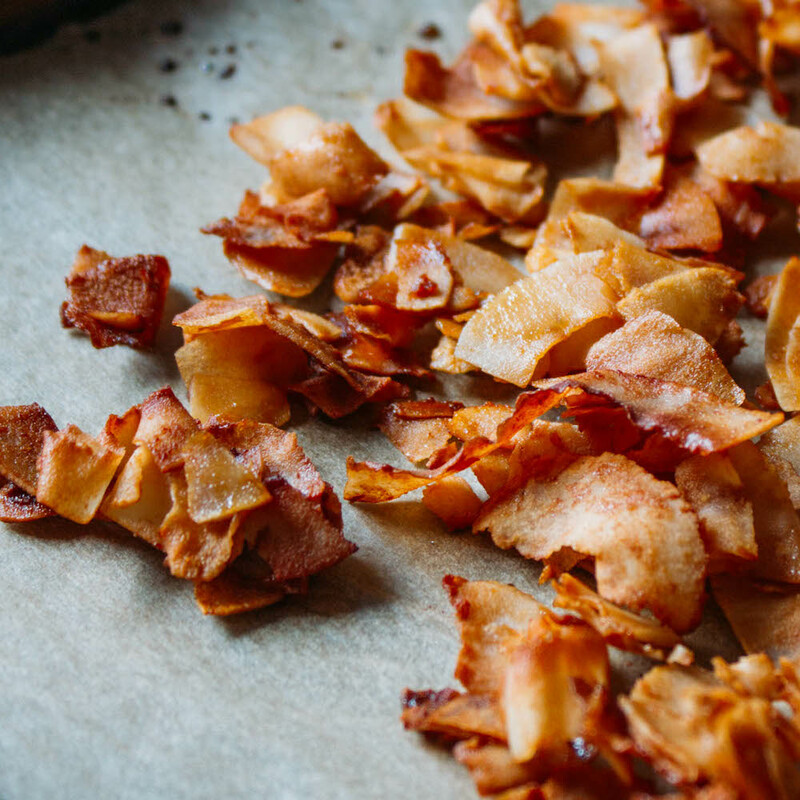 Taste and season as needed with sea salt or additional lemon juice or nutritional yeast. There is no right or wrong, make it the way that you prefer. Transfer this newly combined mixture to a glass or ceramic container(s) of choice. Place in the fridge for an hour to chill. In as little as one short hour your cheese should be thickened and ready to place on your Oil-Free Spinach Walnut Oregano Pesto. Now, turn the oven to the broil setting or as high as you feel comfortable using. 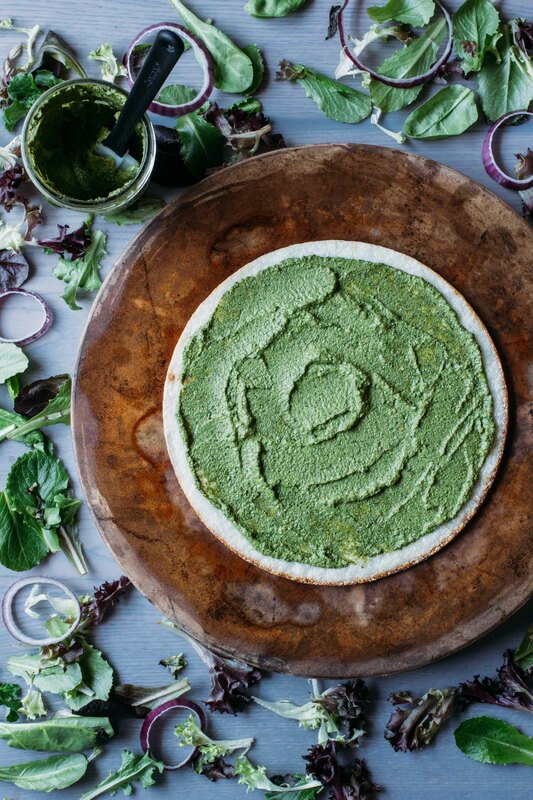 As it warms, cover your prebaked cauliflower crust with about one half of the batch of fresh Oil-Free Spinach Walnut Oregano Pesto. Now scatter bits of the thickened Dairy-Free Melty Cheese across the top of the pesto covered prebaked crust and broil for just a watchful second or two to melt the cheese to perfection! Remove your Cauliflower Crust Pesto Pizza from the oven as soon as the cheese melts and slice your pizza into 8 delectable slices. Serve with a tossed salad dressed in a tasty balsamic and enjoy! Finally, the nutritional information provided is with the understanding that you will use half a batch of my Oil-Free Spinach Walnut Oregano Pesto and half of the homemade Dairy-Free Melty Cheese detailed in this recipe. Additionally, the serving size counts eight servings or slices. Lastly, use the rest of these two fabulous specialty items by slicing and baking potatoes on a sheet pan, layering with the remaining portion of my Dairy-Free Melty Cheese towards the end of the vegetables baking time and then drizzling the cheese covered potatoes with the unused portion of Oil-Free Spinach Walnut Oregano Pesto. And don't you just love that? By using as I've suggested, you're pretty much getting two dinners in one! Hi, Liz. I was absolutely THRILLED with the way my Dairy-Free Melty Cheese turned out. I worked on the melty factor so many times that I lost count! But here we are, all melty, and cheesy and 100% dairy-free! I’d love to hear how it goes when you try it for yourself.